Product code: NS133 Categories: Sold Items, Sold Rings. Perfect on its own or alongside another ring, this ruby and diamond eternity ring will always look so magnificent on any finger. Made in 18ct white gold, this eternity ring is set with 14 rubies set with 7 square cut diamonds. The rubies total 1.70 carats and the diamonds 0.47 carats and are all milgrain set which can be seen as the elegant crimping along the edge of the setting which was also typical of 1920’s Art Deco era jewellery. Along with the setting the sides are so beautifully engraved and add that extra appeal to an already charming ring. 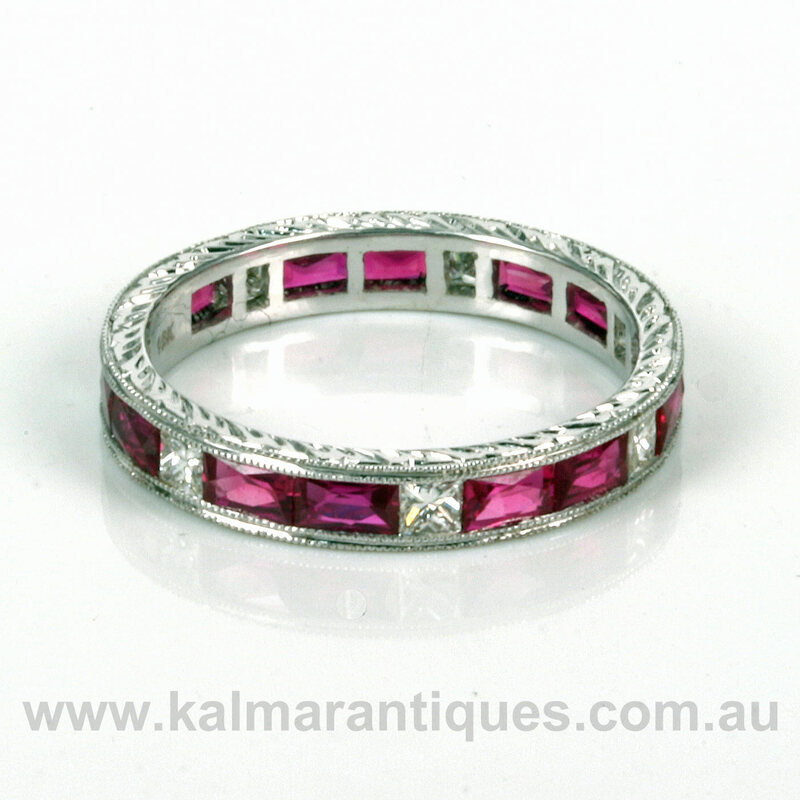 Eternity rings set with rubies are hard to come by and this one is just spectacular and captivating from all angles.